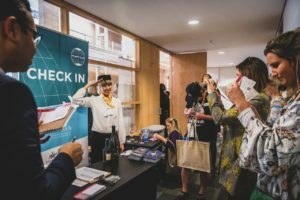 The Premium Independent Wineries of South Africa collaboration rolled into town last month on their inaugural world Roadshow and I have picked out a few highlights for you to track down. Kevin Grant’s stylish wines scored highly in my notes with the 2012 Chardonnay looking characteristically suave and well-toned. 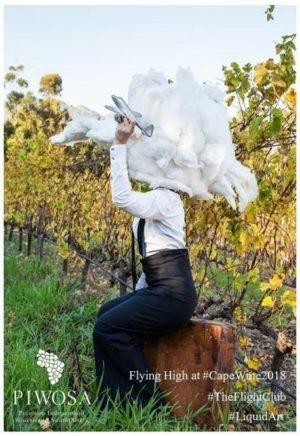 2012 Sauvignon Blanc was ‘business as usual’ (i.e. one of the most reliably delicious in the Cape) and even 2008 Serenity, a red wine which usually leaves me cold, looked feisty and refreshing. Sebastian Beaumont is an understated winemaker who modestly plays down his considerable talents. His four wines on show were all impressive. Chenin Blanc is his particular skill with the 2012 estate wine looking sleek and lithe. An early sample of 2013 also looked equally fine. 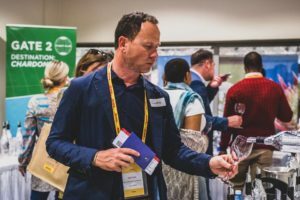 The pick of the bunch was the breathtaking 2012 Hope Marguerite Chenin Blanc, one of South Africa’s most beautiful wines, and not to be outdone, the two reds looked fit and brightly fruited, too. 2011 Pinotage is a spicy, coffee and liquorice style wine and the mighty 2009 Vitruvian, a Mourvèdre, Pinotage, Petit Verdot, Cabernet Franc and Shiraz blend has finally started to settle down and the various varieties are finding their place in the blend and sharing the duties of romancing the taste buds. Cederberg’s bright aromatic whites have grabbed everyone’s attention, but for me it is the reds which intrigue my palate. 2009 Shiraz is an elegant, classy beast with beautiful mulberry fruit and pinpoint accurate balance. The 2010 Five Generations Cabernet is another succulent, fruit-driven wine and I am looking forward to the day when these two varieties are combined, no doubt to great effect! Come on Cederberg – make my day. Bruce Jack has allowed his vinous fantasies to come to life at The Drift and we are the beneficiaries of some of his fascinating creations. 2011 Mary le Bow is an alluring Cabernet Shiraz Petit Verdot blend utilising my favourite blend as its backbone and loading élan and breeding into the mix. Even more impressive is a flamboyant and highly engineered 2012 There are Still Mysteries Pinot Noir. In order to prove that he can crack the Pinot code Bruce has fashioned a crazily upholstered wine with an eye-watering £60 price tag. Only 1000 bottles were made. I’ve got to admit it is a pretty good wine, too! I am still waiting for the Glenelly wines to really take off, but I can see that great strides have been made over the last few years and so my one wine to recommend at this stage is named after the great lady herself – 2009 Lady May. The fruit is clean and there are none of the old style, rubbery notes of bygone vintages. This is a balanced Cabernet Sauvignon dominant cuvée pepped up with a slug of dashing Petit Verdot. At around £25 this is a valiant effort and a wine which will certainly age very well and no doubt develop considerably over the next two decades. Gary Jordan’s range of wines was characteristically solid with all disciplines scoring well. My pick of the pack was the superb 2011 Nine Yards Chardonnay. This is a wine that carries a fair amount of weight and swagger in the form of fruit intensity and oak but it is superbly balanced and flashes of lime and nougat in the mix make for a very luscious treat. Rollo Gabb is the driving force behind PIWOSA and he showed three delicious Chardonnays which all captivated my olfactory system. 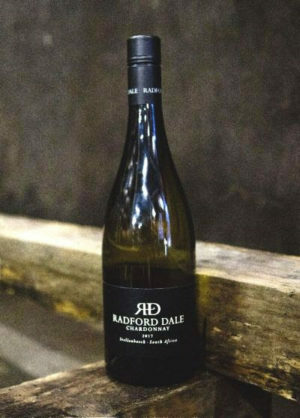 Firstly, an old favourite, 2011 Estate Chardonnay looked creamy with mandarin notes and a heavenly texture. For a £15 wine this is a very well-made enchantress. Next, 2011 Destination Chardonnay revved up the engine a little more without overplaying it and this time revealed daring oak and fruit concentration. Lastly, and surprisingly, a 2002 Chardonnay took to the stage and it looked ravishing. Still in balance, still showing poise and elegance – a wine that could show up a great many white Burgundies! You cannot taste through a range of Ken’s wines and not mention The FMC. 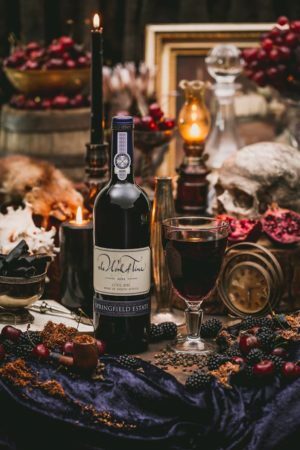 The 2010 vintage of this ridiculously indulgent wine showed exceptionally well and yet I am sure that you are familiar with this brew, not least because I have been extolling its virtues for nearly a decade! So, this time, I have picked out a red! 2009 The Gypsy is a Grenache Syrah blend and there are some butch fruit notes and strident tannins on display in this statuesque wine and it works very well indeed. Grenache doesn’t have an awful lot of support in the Cape, but this is a very smart wine and it provides us with an worthy alternative to the legions of Shiraz. Cue fanfare, Adam Mason (ex-Klein Constantia) has joined this famous brand and because I am a massive fan of his mercurial talents I can see him breathing new life into the range. The wines on pour were not showing as well as they might save for a keen, bright 2012 Sauvignon Blanc and a 2009 Noble Late Harvest Sauvignon Blanc which both caught my eye. Having said this I have no doubt that the Faithful Hound will be back on form very soon – so keep your eyes peeled. Chris and Andrea Mullineux can do no wrong in my eyes. They made my favourite South African wine of last year (2010 Mullineux Schist – see my MoneyWeek article of 2nd November 2012) and so it was with great anticipation that I tasted the 2012 White, 2011 Kloof Street Rouge (already written up in my Weekend Magazine Column earlier this year) and the 2011 Mullineux Syrah. All three wines are sensational and they sum up the philosophy that sometimes less is more in winemaking and over and above the broader flavours and aromas it is the mineral purity and textural delicacy of these wines that make such an impact on me. It’s always good to see Bevan N-J and all of his wines looked good. Interestingly the cuvée that picked up my top score was his cutie-pie 2012 Southend Chardonnay. The least expensive of the range, and rather a simple creation, it is the creamy apricot theme which I found enchanting and I am sure that this wine will romp through sales when the punters get a taste. The 2012 Family Vineyards Chardonnay is a more grown up version with more imposing oak, but it isn’t a ‘better’ wine to my mind just a foodier proposition. The young Paul Cluver showed a tidy group of wines and they all looked crisp and lean and bright – as is the Elgin way! My pick was the rapier-sharp 2012 Dry Riesling not least because it offers terrific value at £12, but also because it captures the green apple freshness which I adore. The rasping acidity cleanses the palate and the whole experience is invigorating and soothing in equal measure. Bruwer opened 2012 Original Chenin Blanc, 2011 Old Vine Chenin Blanc, 2011 Dolomite Cabernet Franc and 2011 Jasper and all four wines looked scintillating. If I had to pick one then the 2011 Old Vine Chenin scored the highest and it oozes class and breeding, showing concentration and balance along with one of the longest, haunting finishes of the entire collection of wines. This is one of the greatest and most reliable Chenins in the world in my opinion. Alex Dale is an intuitive sort and he is brutally honest about his wines. I have always been a fan of his sublime The Renaissance Chenin Blanc – the 2012 is an epic, roller-coaster Chenin with polish and a magical lime juice theme. This was the highest scoring wine on the table, but I must also pick out a red that Alex actually talked down! 2011 Black Rock is a Syrah Cinsault Carignan blend and it was exquisite. I gave it a massive score for a £16 wine. Liquorice, bramble, espresso, cola, plum and potting compost – this beauty has it all! I love it even if Alex doesn’t. You must find this wine to see if you do, too! There are two wines in this cellar which really rock my boat and both were on display. 2012 Sanctuary Peak Sauvignon Blanc is a riveting white wine with pin sharp citrus notes and a tangy, lip-tingling finish. I have banged on about the other wine since its inception! 2010 Mount Bullet, a monumental Merlot, looked resplendent and it further cements this wine as one of the future icons of the Cape. I always compare it to a Super-Tuscan rather than a Bordeaux but whichever reference point you use it is a very grand wine indeed and a wonderful way to finish off this piece.